Target Last Minute Gift For Dad Giveaway CLOSED!!! Fathers Day is almost here and there is still some time to get dad that perfect gift. The wonderful people at Target understand and have made a list to make things a little easier. Below is a list of top items that are available at most Target stores and at Target.com, that dad will love!!! 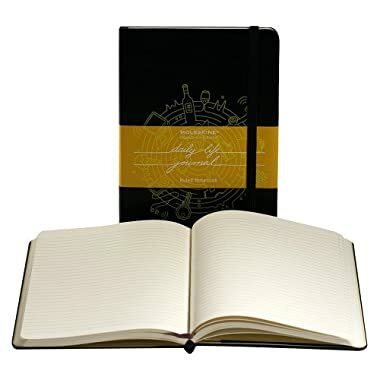 Since we all know that last minute shopping can be difficult, the wonderful people from Target would like to give one of my amazing readers a Moleskin Journal!! Tell me what other product on the last minute Fathers Day list you would like to get! Please leave me your email with this entry!!! This giveaway is open to US residents. This giveaway will end at 11:59 pm on June 21,2011. Winner will be chosen at random.org and will be given 48 hours before another winner will be chosen. All products for reviews and giveaways are given as a sample from the companies. All opinions in reviews I conduct are my own. I was not paid to say anything or review any products. My husband would really like the Tom Tom. Men’s Callaway Golf Glove Gameseries would be great! metaltech17[at]gmail[dot]com Thanks!